The C3 Visiting Artist Project is back again for 2019 with three artists from across North Texas: Karla Garcia, Spencer Evans, and the Denton-based artist collective Spiderweb Salon. Over the course of the year, we’ll be chatting with the artists to dive into the process and methodologies behind their projects presented in the Center for Creative Connections. Our first artist of the year is Karla Garcia. Garcia’s project for C3, Carrito de Memorias (Cart of Memories), utilizes an interactive “food” cart, designed and constructed by the artist with resources at the University of North Texas Fabrication Lab. Using handmade papers, Karla invites visitors to consider our memories associated with identity, roles, and traditions when making and sharing food. We interviewed Garcia to learn more about her practice and processes as an artist. Check it out below, and visit her project in the Center for Creative Connections through the end of April! I am an artist, an educator, a mother, and an MFA candidate at the University of North Texas (UNT). I am originally from the border city of Juarez, Chihuahua, where I spent my formative years before moving to El Paso, Texas. I received my Bachelor of Arts in Communication and Graphic Design from the University of Texas in El Paso, and later moved to Dallas, where I currently reside. My current practice explores the concept of home and is based on the years when I moved from Mexico to the United States. Tell us a little about past projects that led you to apply to the C3 Visiting Artist Project. After being accepted into the Museum Education program at UNT, part of our curriculum was to research and collaborate with fellow classmates to create education programs for various audiences at museums. I was able to do my internship at the Amon Carter Museum of American Art, where I worked with the Interpretation and Public Programs fields of the Education Department. One of my responsibilities was to set up an art cart for a few hours on Fridays. I talked to visitors about the processes of art making that were relevant to the exhibitions on display and assisted in an interactive activity for the Gabriel Dawe piece Plexus #34. My supervisor and mentor Peggy Speir was invaluable in this experience as she designed a type of loom that was used for visitors to explore the same technique that Dawe used for his large-scale artworks. I enjoyed that type of interaction, where I got to learn about the visitors’ personal lives through conversation as they learned about the artist, the museum’s collection, and processes of art making. This led me to create an art cart activity for a Louise Nevelson piece, Lunar Landscape, by painting blocks of wood black to be used to form compositions and explore the artist’s creative process. These activities inspired me to design my own art cart titled Carrito de Memorias (Cart of Memories), where I explore ways of creating an engaging activity to enable the public to connect to artworks from the DMA’s collection and connect to other people through the display of the community’s personal experiences. Tell us about the installation you’ve created in the Center for Creative Connections. I wanted to create an art cart inspired by the history of ancient Mexico and the food carts I visited when growing up in Juarez. To me, a food cart is not only a place where food is easily accessible, but also a type of neutral space where people from all social backgrounds gather. I wanted to create this same inviting feeling for the C3 space, but rather than offering food, we are asking visitors questions that relate to the DMA’s collection regarding tradition, identity, and roles. It is a difficult thing to ask people you don’t know about their personal views, or asking them to share a memory. In my research, I have found that street food is an extension of our kitchen space. We form our traditions around food, and our families’ oral histories are passed on to us during holidays and personal celebrations, and even through daily routines. The cart became this extension of our personal spaces in our homes where everyone is welcome to share their stories. The menu on the tables around the cart have three options relating to gender roles, identity, and traditions. There are three artworks from the collection with a description that matches these categories. I’m thrilled to read everyone’s answers and see their drawings. With these, I will create sculptures that embody the public’s collective memories. Join Karla Garcia for a Gallery Talk on Wednesday, March 20, from 12:15 to 1:00 p.m. Gallery Talks are included in free general admission. You can participate in an art-making activity related to the Carrito de Memorias installation in C3 at the FREE 2019 AVANCE Latino Street Fest / DMA Family Festival at Klyde Warren Park on Sunday, April 7, beginning at noon. 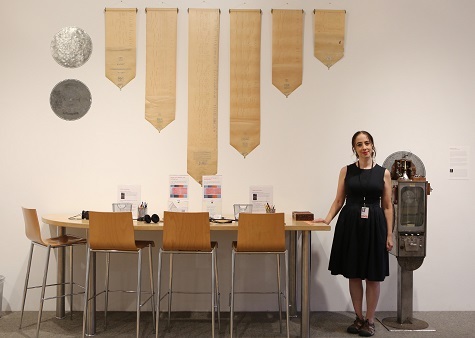 Last year the Center for Creative Connections launched the C3 Visiting Artist Project, as a new way to engage with local artists both in the physical space of C3 and through various educational programs offered by the Museum. Through this initiative, we worked with four visiting artists; completing a total of twenty programs throughout the year and serving over 800 visitors. Of course this doesn’t include the countless visitors who had the opportunity to interact with each artist’s creation in C3–from self-guided tours to musical zine making. Timothy Harding’s education and career have been closely tied to the Dallas/Fort Worth area. He received his MFA from Texas Christian University, BFA from Texas Woman’s University, and currently teaches at Tarleton State University. His work explores the relationship between drawing, painting, and sculpture, through dimensional paintings and sculptural installations. Harding’s works have appeared at local venues including Cris Worley Fine Arts, the Power Station, and 500X Gallery. Other Texas exhibitions of his work have taken place at the Grace Museum (Abilene) and Box 13 (Houston). In addition, Harding’s art has been in shows in more distant sites including: Florida State University Museum of Art (Tallahassee, FL); SCENE Metrospace (East Lansing, MI); and And Gallery (Jackson, MS). 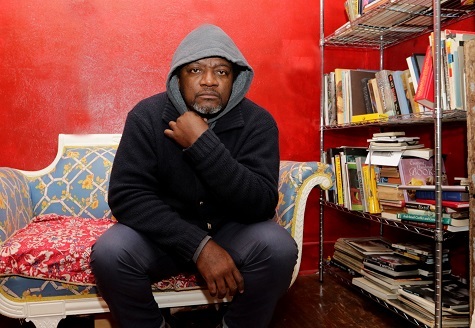 He was a 2009 recipient of The Arch and Anne Giles Kimbrough Fund Grant from the DMA and a 2016 Artist Microgrant from the Nasher Sculpture Center. Ellie Ivanova is a Bulgarian-born lens-based artist who currently splits her time between Texas and Italy. Her major creative interest is the experience of memory, home, and identity in traditional and experimental formats. She uses processes and conceptual approaches through which images continue to evolve after being captured and printed, erasing the boundaries between the factual and the fictitious. As a researcher, she is interested in the museum and the archive as a metaphor for social and artistic expression. Ivanova has an MFA in Photography from the University of North Texas, where she is currently pursuing a PhD in Art Education/Visual Studies. 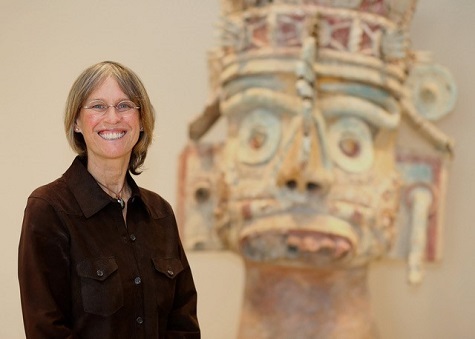 Her photographs have been exhibited throughout the United States in solo and group exhibitions and are part of the permanent collection of Human Rights Art at South Texas College and the Fort Wayne Museum of Art, among others. In 2010 she founded Third Eye Workshops, which teach photography to children from marginalized groups in Bulgaria. 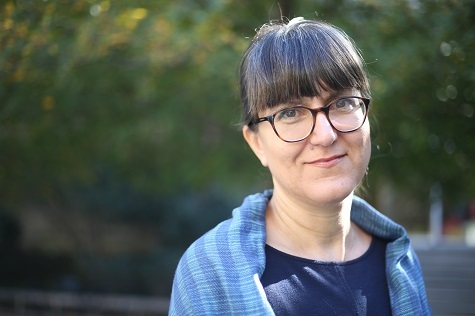 Lauren Cross is an interdisciplinary artist, curator, and scholar whose work has been exhibited across the country. Cross earned her BA (2006) in Art, Design, and Media from Richmond, the American International University in London, England, her MFA (2010) in Visual Arts from Lesley University in Cambridge, MA, and her Ph.D (2017) in Multicultural Women’s and Gender Studies at Texas Woman’s University in Denton, TX. Cross is a passionate advocate for diversity in the arts, founding WoCA Projects, a non profit arts organization that curates exhibitions and community arts programs that champion women artists of color. She has also written and contributed academic research on the intersections of race, gender and the arts in the fields of women’s and gender studies, visual culture studies, and multicultural studies. In 2013, Cross was among three Fort Worth artists selected for the 2013 Fort Worth Weekly Visionary Awards, and in 2015 she was listed among 100 Dallas Creatives by the Dallas Observer. Stay tuned to see updates throughout the year about each artist project and upcoming programming. Be sure to stop by the Center for Creative Connections to interact with their creations. 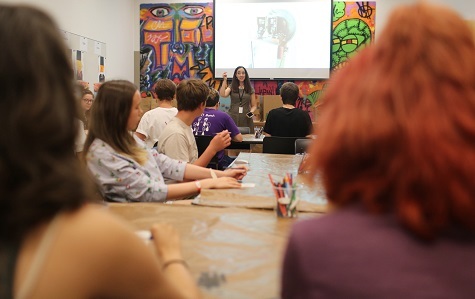 This summer the Center for Creative Connections invited C3 Visiting Artist Lisa Huffaker to design an in-gallery activity inspired by a work of art on view in C3. Meet Lisa here and learn more about her musically engaging activities designed for visitors of all ages. I am a classical singer by training, but have always created visual art and poetry as well. My latest project is White Rock Zine Machine, which offers tiny handmade books of art and writing through re-purposed vending machines. I am interested in the community we form through creative work. What motivated you to apply to the C3 Visiting Artist Project? While visiting the Museum, I saw Nam June Paik’s Music Box Based on a Piano Piece Composed in Tokyo in 1954. 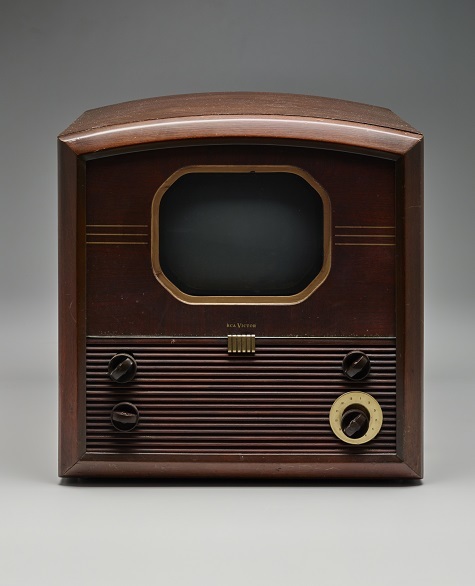 It’s an old television transformed to show a video of a music box, and it reminded me of my vending machines, which are also “communication boxes” with knobs, whimsically reinvented to give us new content. I loved the idea of exploring the relationship between these two objects, within the interactive space of the C3 Gallery, and inviting visitors to interact with and even contribute to the project. I’m so grateful to the DMA for embracing my crazy vision! Tell us about the process of creating your zine machine. I found a retired baseball card vending machine on Craigslist, and transformed it. I sanded it down to bare metal, then used old player piano rolls as stencils to paint a pattern on the sides. I cut a hole in the front panel and covered it with glass, so we could see the zines inside. I attached Victorian-era music box disks to the machine, including a sort of halo at the top. Then I added other objects — carved wood pieces, various metal oddities, a kalimba, gears and springs taken out of broken alarm clocks, and eight music box mechanisms, including one that plays original music composed by punching holes in a strip of paper. While creating the zine machine, I really enjoyed the contradiction between noisy power tools and delicate, beautiful mechanisms! But most of all I have enjoyed the opportunity to explore certain ideas — the overlap of music, memory, and machine — and invite others to interact with the project. It has been fascinating to see the drawings and writings created by visitors in response to the music I chose for the listening station in my installation. Visit the Center for Creative Connections through September to contribute drawings to Huffaker’s zines and to receive a zine from the machine. Friday, September 15, Late Night Tour; 6:30 p.m.
Friday, September 15, Late Night Performance with Piano; 9:00 p.m.
Friday, September 22, Teen Homeschool; 1:00-4:00 p.m.
Collaboratively and independently, Janeil Engelstad has produced exhibitions and multiform projects throughout the world. Her creative practice and community advocacy work often dovetail into work that addresses political, social, and environmental concerns through writing and the visual arts. She is the Founding Director of MAP – Make Art with Purpose, an organization that produces projects at the intersection of art and other disciplines including science, technology, education, and social justice activism. Engelstad’s projects have been supported and produced with a variety of partner organizations, including 9e2 Seattle, Art Margins/MIT, California Museum of Photography, Central European Foundation, City of Chicago Department of Cultural Affairs, Dallas Museum of Art, International Center for Photography, Kunsthalle Stanica Žilina-Záriečie, Oboro/Montreál, San Francisco Camerawork, US Department of State, and others. 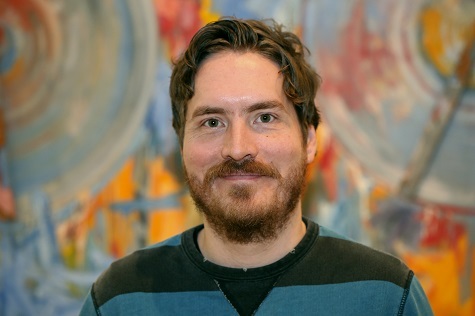 Christopher Blay is an artist, writer, and curator with a BFA from Texas Christian University. He runs the Art Corridor Gallery at Tarrant County College Southeast and reviews art for the Fort Worth Weekly Magazine. His work incorporates video, sculpture, and performance. His most recent work, KWTXR, is based on the fictional character Kara Walker – Texas Ranger and responds to historical violence against African Americans by law enforcement officers. Other recent projects include Cos N!&&@^$ Can’t Breathe at the Lakeview Gallery, The Seven Deadly Things at 500X Gallery, Satellites at CentralTrak Gallery, and two ongoing public art projects in Dallas’s Coombs Creek Park and East Rosedale Avenue, Fort Worth. In 2013, Blay received the SMU Meadows Museum’s Moss/Chumley Award. Dr. Sabrina Starnaman is a Clinical Assistant Professor of Literary Studies and the Acting Director of the Center for Values in Medicine, Science and Technology at the University of Texas at Dallas. Her research focuses on Progressive Era (1880–1930) American texts about social settlements and women’s activism, urbanism, and disability. Central to Starnaman’s research agenda is exploring how 19th-century activists remediated exploitative labor practices, racism, and poverty. She is interested in finding ways that their historical solutions, often implemented locally, can be brought to bear on similar problems in the 21st century. xtine burrough is a new media artist, author, and educator. 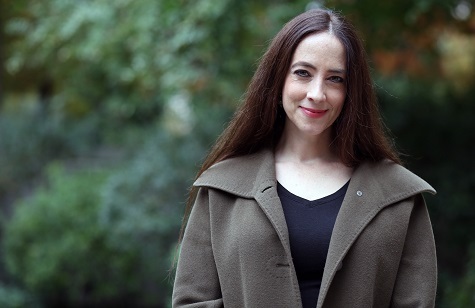 She has authored or edited several books including Foundations of Digital Art and Design (2013), Net Works: Case Studies in Web Art and Design (2011), and The Routledge Companion to Remix Studies (2015). 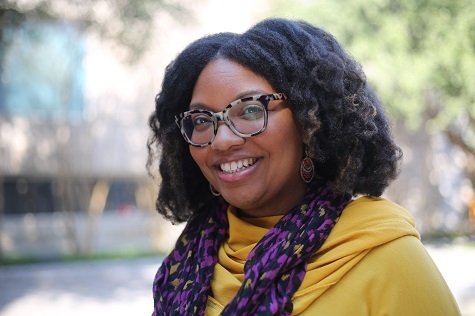 She is the Editor of the Visual Communication Quarterly, and an Associate Professor in the School of Arts, Technology, and Emerging Communication at UT Dallas. Her awards include a Webby Honoree, a Terminal commission, and grants from the UK Big Lottery fund and California Humanities. Her recent projects recover feminist texts through mediation and reimagine virtual crowd workers as bodies with agency. 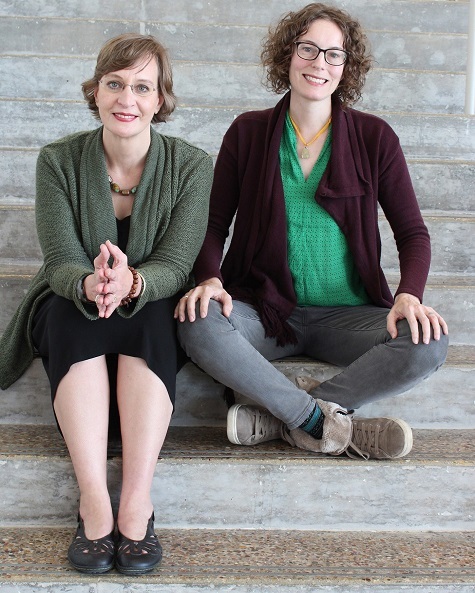 Upon meeting at UT Dallas in fall 2016, Starnaman and burrough discovered a shared passion for embodiment, literature, and the working class. The two became fast friends and quickly set forth to merge burrough’s interventions with crowdsourcing platforms with Starnaman’s expertise in literature, history, and labor. Together they are working on “The Laboring Self,” a project funded in part by Humanities Texas. Check back next month for a highlight of Janeil Engelstad and the project she is undertaking during her time as a C3 Visiting Artist. Applications for 2018 will be made available later this year.